Once-upon-a-time velvet evening slippers were an indoor accessory; a Victorian house shoe for gentlemen entertaining at home. Today this iconic footwear has become a versatile favourite, perfect for pairing with a dinner jacket or jeans to any occasion. 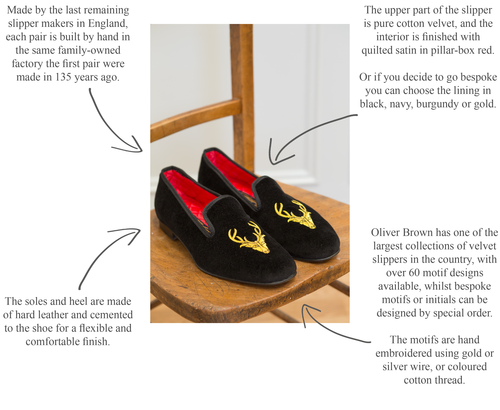 Here’s a look at the Oliver Brown velvet slippers in detail.